Discount Zooka EB-1 External Battery - Free Shipping! Made specifically for the Zooka ZS720 and Zooka ZS740 pitching machines, the Zooka EB-1 External Battery allows you to double the amount of pitches you can throw. It will supply enough power to get an additional 1000 pitches at 40 MPH or 600 pitches at 60 MPH. 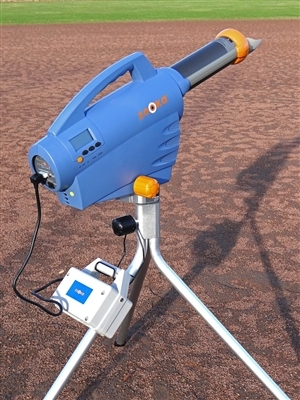 No need to open up the pitching machine, the EB-1 External battery plugs into your Zooka pitching machine. 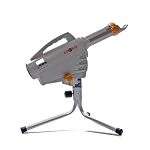 A mounting bracket is included that attaches to the rear of the pitching machine's tall tripod stand. The Zooka EB-1 External Battery charges in about ten hours and includes a battery charger. Like all Zooka products, it is covered by a 1 Year Manufacturer's Warranty and 30 day Satisfaction Guarantee. If purchased here, it ships free! 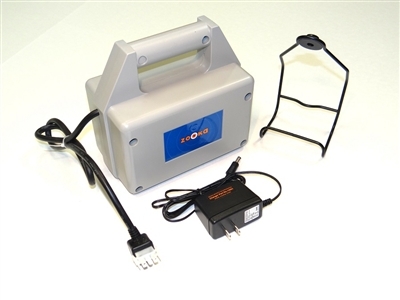 Q: Do you need this external battery when you buy the machine? Or is this an extra item? 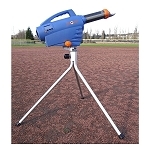 A: Zooka pitching machines come with an internal battery that will pitch up to 800 balls on a charge, depending on the speed of a pitch. The external battery is an option that allows people to throw even more pitches than that with the external battery taking over when the internal battery runs out. It certainly is not necessary unless you will be throwing a ton of pitches, fly balls or grounders during any single session. Zooka Sports is pleased to offer a 30 Day Satisfaction Guarantee. We are confident that you will be happy with your Zooka EB-1 External Battery for many years to come but, if for any reason you are dissatisfied, please contact us for instructions on how to return the product directly to Zooka. Returned items must be in good, resellable, "like new" condition with original packaging. 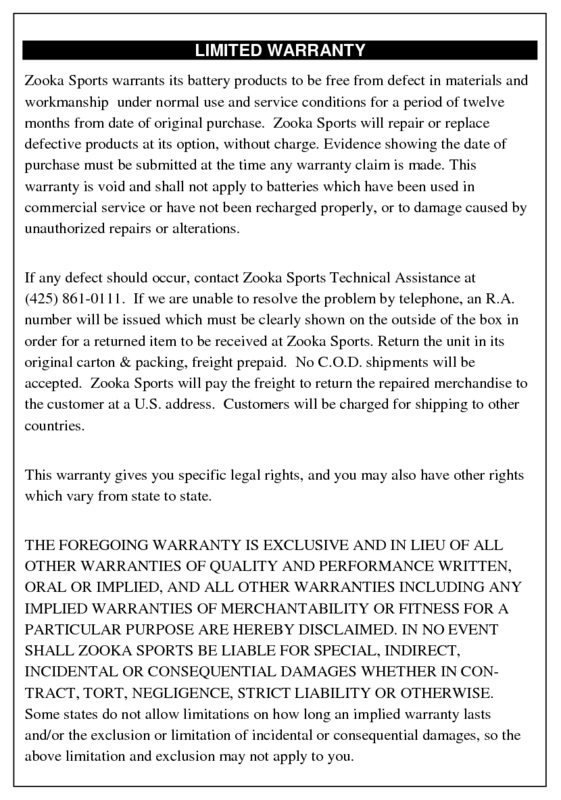 Zooka Sports also includes a 12 month warranty with your EB-1 battery. Please read more about their warranty, below, and refer to our Shipping, Warranties and Returns page for full details about this website's policies. No matter where you order a Zooka EB-1 Battery from, NOBODY actually stocks them; they all ship directly from the manufacturer's warehouse located in Redmond, Washington. Therefore, the shipping time frame is exactly the same no matter what website you order from (we hope that it is this one!). Zooka EB-1 Batteries typically take 2-4 business days to ship from the time you place your order. They ship via FedEx Ground and could take anywhere from a day or two to a week to get to you AFTER being shipped, depending on your proximity to their warehouse. We will notify you of your tracking number the moment we receive it from the manufacturer's warehouse. Click here to download an easy to read, printable PDF of the Zooka EB-1 Owner's Manual.